Luke Humphrey from Wisbech, Cambridgeshire added to his second place in the Dodson & Horrell 0.95m National Amateur Second Round by taking the win in the Dodson & Horrell National Amateur 1.05m Second Round held at Houghton Hall Equestrian Centre in Houghton, Cambridgeshire on Saturday 5th September. 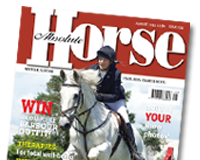 With qualifying for the Dodson & Horrell National Amateur Championships at Aintree Equestrian Centre in Liverpool (18th – 22nd November) set firmly in their minds, each competitor was focused on taking one of the twelve direct qualifying places on offer. Luke’s victory came on his own 12 year-old grey mare Wendela N and in taking first place; he fought off the challenge from twenty-three other combinations. The combination saved their best until last, crossing the finish line with all the fences standing in just 36.36 seconds. Alice Ellison from Cambridgeshire took second place with Britney IV, a 9 year-old bay mare owned by Sacha Ellison. Two foot perfect rounds from this combination saw them return home clear in the jump off in 39.21 seconds. 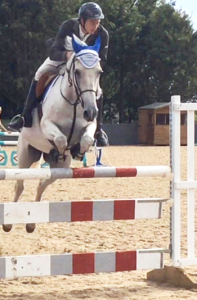 Also improving on their placing in the 0.95m Second Round was Sophie Corney from Scunthorpe, South Humberside on her own 15 year-old brown mare Stanhopes Good Friday. This combination took third after producing their double clear in 43.01 seconds. Following an outbreak of the contagious respiratory disease strangles in February this year, Redwings is delighted to announce that the final area of quarantine has been lifted from its largest farm in Norfolk. Movement restrictions between and within Redwings sites have also been lifted, and all movements around the horse hospital at the charity’s Norfolk headquarters have returned to normal. At the height of the outbreak a total of 24 horses tested positive for strangles, many more required testing and nine quarantine zones were in operation resulting in an expenditure of over £4,000 a week on feed, test results and equipment to contain the disease. As a precautionary measure, the charity was also forced to cease rehoming operations and temporarily close its Ada Cole visitor centre in Essex due to suspected contact with a strangles case – an action that had a notable impact on visitor numbers and donations, on which the Sanctuary relies so heavily. Redwings’ staff and veterinary team have worked tirelessly to restrict the spread of the disease and prevent a potentially devastating situation for a sanctuary that has 1,500 resident horses. However, the outbreak has proved a very difficult and challenging time for the charity – as a result of restricted movements within sites, paddocks could not be rotated and subsequently unable to recover from grazing, requiring a number of the hay stocks reserved for winter to be used prematurely. The restriction of movements also applied to staff meaning maintenance work to repair fencing on certain sites was halted – costly improvements which are now desperately needed. The Sanctuary has also invested in gallons of disinfectant; every time a quarantine zone was lifted miles of fencing and numerous water tanks, gates and field shelters required cleaning by hand. The total costs have yet to be calculated but it is clear its after-effects will be felt for some time to come. 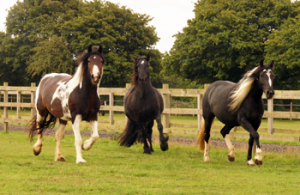 Redwings is extremely experienced in managing and treating strangles cases as the infection can be prevalent in the neglected and abandoned horses that the charity rescues. Indeed, the Sanctuary’s Reception Centre will continue to operate a quarantine zone – as it has always done – as each new arrival undergoes a period of quarantine before being introduced to a herd. However, this is the first time in 23 years Redwings has seen a case within its resident herds.